Stop by our bakery today! 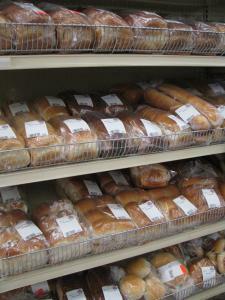 We have breads, rolls, muffins and many other goodies that will have you thinking you are visiting Grandma's kitchen. Please Dixie Hartung know and she will try and find it for you.